Hydrodynamic cavitation can be successfully applied for the food industry: mixing, low pressure homogenization, dispersion and solubilization of solids into liquids. 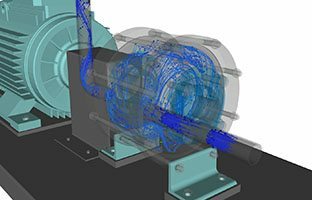 Which are the advantages I can achieve if I install the ROTOCAV hydrodynamic cavitator in a food plant? 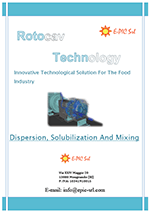 In which food applications can I use the ROTOCAV hydrodynamic cavitator? 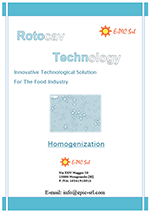 ROTOCAV hydrodynamic cavitator can be efficiently used as a low pressure homogenizer: read the scientific paper Treatment of fresh milk with ROTOCAV hydrodynamic cavitator about experimental results obtained with fresh milk and hydrodynamic and acoustic cavitation treatments. 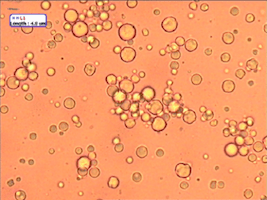 The system is able to create stable emulsions (with a uniform distribution of droplets size). It is also possible to modulate the droplets size by adjusting the cavitation intensity and the rotor speed. 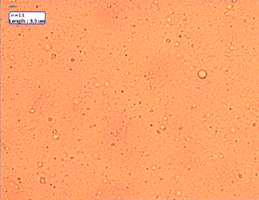 Generation of homogeneous dispersions of powders into liquids and solid phase disintegration happen during the cavitational treatment: the product is subjected to cavitational phenomena and intense shear, it does not agglomerate and the resulting gum is fully hydrated, with rapid mixing time. You have allowed cookies to be placed on your device. This decision can be reversed.